- Inner Harbor Men's 4.5 ounce Rayon/Polyester Blend Camp Shirt. 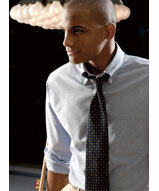 - Cool 66/34 rayon/polyester microcord shirt with the look that's hot. - Self-fabric, double-yoke pleated back, left chest pocket, full button front with wood buttons. - Hemmed bottom and side vents, and a durable good look. - Ladies has front and back darts, no pocket, and curved hem. Inner Harbor Men's 4.5 ounce Rayon/Polyester Blend Camp Shirt. 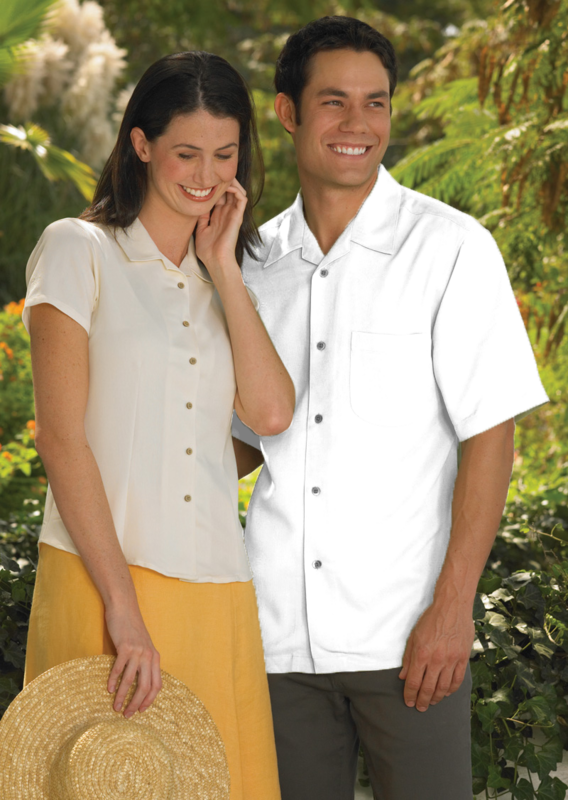 Cool 66/34 rayon/polyester microcord shirt with the look that's hot. 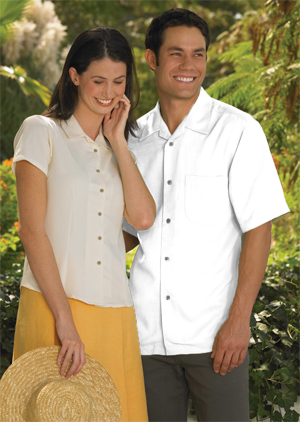 Self-fabric, double-yoke pleated back, left chest pocket, full button front with wood buttons. Hemmed bottom and side vents, and a durable good look. Ladies has front and back darts, no pocket, and curved hem. 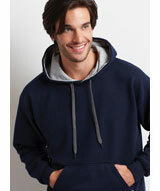 Men's S-4XL: Ivory, Black, Navy, Red, Caribbean Blue, Mango.